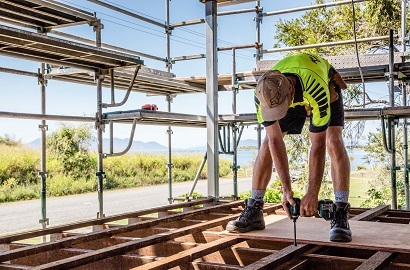 Established in 2007, Integrabuild Pty Ltd provides professional and proven Construction, Asbestos, Civil and Demolition services to a range of clients across the Whitsundays region and beyond. Drawing on our vast knowledge of general contracting and construction services, we can engage at any point in your project to help transform your vision into reality. Integrabuild is owned and managed by Ron and Jennifer Lust who have built a solid reputation as being flexible, responsive and reliable providers of quality services to the construction and civil sectors. 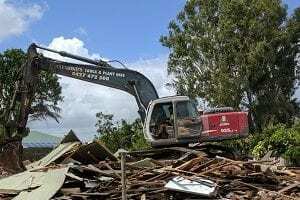 Government Grants now being issued to increase the cyclone resilience of your home. Click here to see if you are eligible. Explore our site to see how we can help you. We offer valuable services for every stage of your project. Our experienced team can assist you from inception to the end of your projects life-cycle. Construction is at our core, we are able to build anything from shops to schools and homes to high-rises. – aged care – just to name a few. Our construction experts will help bring your blueprint to building no matter how large or small. Integrabuild is the region’s safest and most respected Asbestos Demolition and Removal Company. 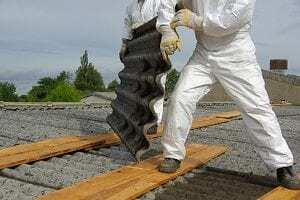 We are fully licensed & insured so you can be sure our qualified and experienced team will handle your asbestos in a manner that is safe for you and your family, the removalist, the environment and the greater community. Don’t risk being fined by using unlicensed and inexperienced removalists, fines are hefty and health risks enormous! We offer a full range of Civil Works services specialising in public structures on land & water. Our Works include the building of car parks, roads, pipelines, wharves, marinas, walking trails, playgrounds, picnic areas, schools, offices, hospitals, water & power supply & much more. With an aim to help make our towns and cities work better for the people that live in them, we provide cost-efficient solutions that can be scaled to suit projects of any size. 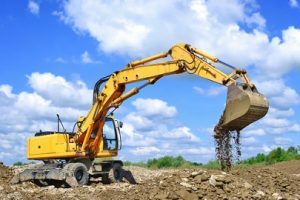 Whether you are looking for a total demolition (foundations up), or partial demolition of existing structures for renovations and re-modelling, we bring the equipment and licensed team to ensure a legally compliant, safe, effective and economical demolition. We specialise in industrial and commercial structures as well as residential properties in the private sector. We also work with clients in preserving historical structures including facades and artwork. © Copyright | 2018 Integrabuild Pty Ltd.